There are so many things to like in this large, cozy living room. 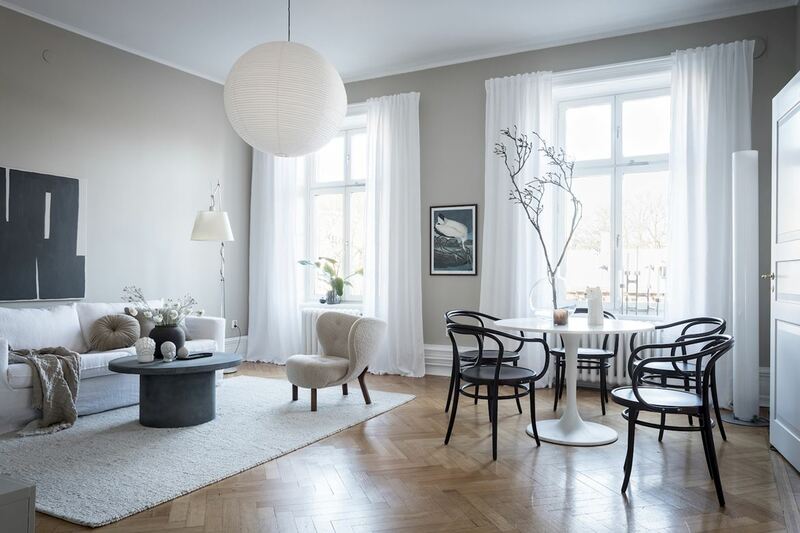 The high ceilings and large windows are very beautiful and let in so much light. 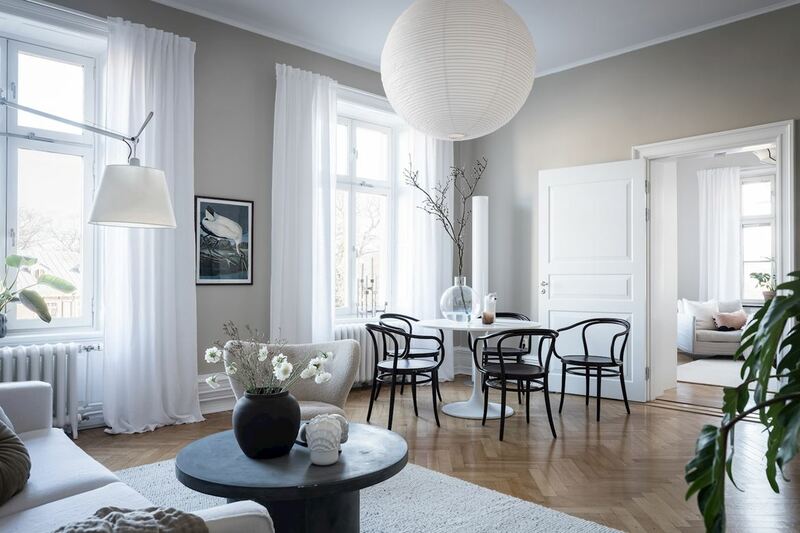 The walls are painted in a subtile greige tint, which makes the white elements in this interior stand out very nicely. 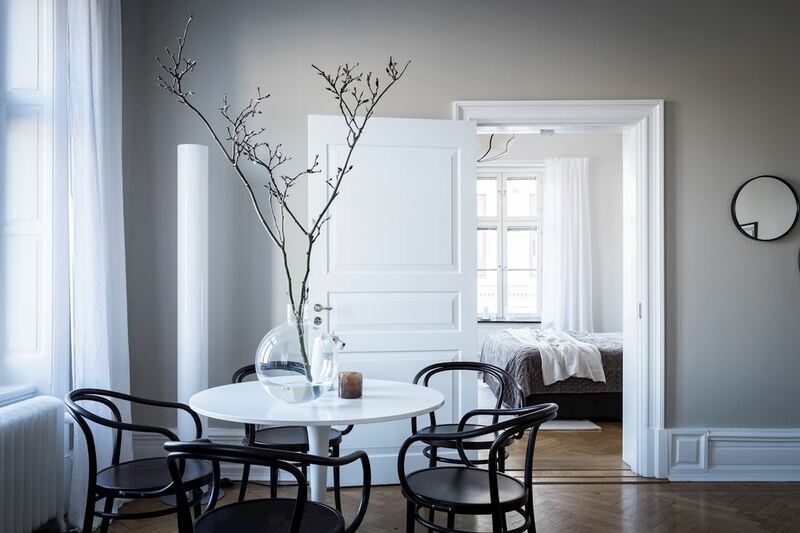 I love the round dining table combined with the black Thonet bentwood chairs*. 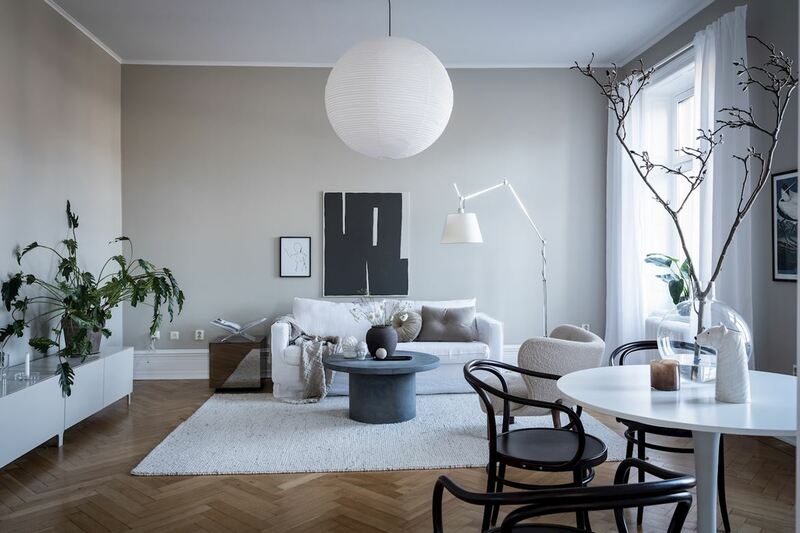 This round element comes back in the coffee table as well and the area rug divides the sofa area from the rest of the space.